New to Avon? What do I do? When I first joined Avon, I had a lot of questions about my new business. I had questions about how it works, how much money I can make, how to order, how should I advertise, and how to pay the Avon bill and lots more. Hopefully this answers some of your questions too. How do you become an Avon Independent Sales Representative? There are a few ways to get signed up with Avon depending on where you're from. If you're in the US you could use the Avon.com website to find contact information for an Avon Representative near you or a District Manager. There is also an option to sign up online if you live in the US, you will need someone's Rep code which can be found on any Avon Rep's website. All you have to do is email them to get the code and go to Avon's Online Sign up page. Signup costs $10 in person and $20 online. You collect all of the money that your customer owe you. Avon bills you the discounted price of all items sold plus fees. 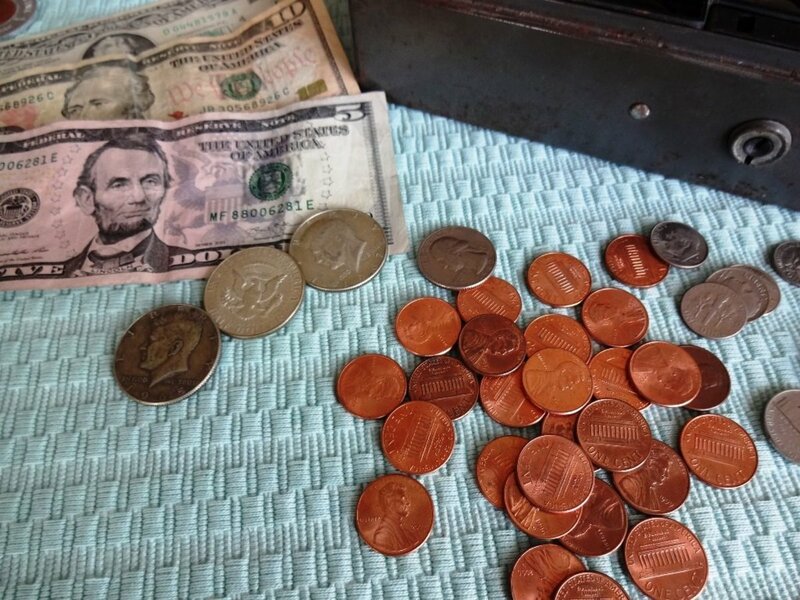 You pay the bill with the money from your customers and you keep what's left over. Avon brand products are discounted based on your earnings level, and all licensed products have a 20% discount. Do I have to invest in an Inventory to run my Avon business? NO! It is better that you do not buy anything that your customers haven't ordered. You do not need to keep any kind of inventory at all. If you do choose to stock up, only buy things when they are on sale and only buy things that your customers will order. What will I need that isn't included in the Signup meeting/starter kit? You might want to invest in some basic office supplies, some printer ink and a day planner. It's a good idea to use a section of a filing cabinet or box to keep track of things you will need for preparing your income tax at the end of the year. You are not required to buy the business supplies from Avon, but there might be some things that would be useful. Does Avon give you business cards to use? You can purchase business cards from Avon but you will have to write your name and number on them yourself. You can have business cards made for you locally or you can get some free business cards online. I got my cards from Vista Print. I received 250 cards for free and I paid for the shipping using my Paypal funds. You are not required to use a credit cards with DCP Print. That's the main reason I chose them over VistaPrint. How do I run my Avon business? The first thing you should do is explore your Avon back office get comfortable with using the website. Read through any training documents on the site. You should have received at least 10 brochures for the first one or two campaigns at your sign up appointment. Write your contact information on each brochure before you hand them out. If you get tired of writing on them every campaign you could use small address labels from the dollar store or buy a customized stamp. Some people put the order due dates and website on the back of brochures, you can decide what you want to do with them. For your first campaign you may want to include an introduction letter telling people a little bit about yourself and how your business works and the services you offer. Once your brochures are ready, put them in the hands of your family and friends. Ask them to tell their friends who might be interested in buying Avon. You could offer them a free gift if they find more people to order from you. Always get the contact information from your new potential customers. Follow-up with everyone you gave a book to! Send out reminder emails a week before your order due date. 3 days before your order is due call, email,leave messages on Facebook for everyone on your customer list. People appreciate a follow up call, a lot of them are busy and completely forget that they wanted to order. On the order due date, check over your order. Make sure you called everyone on your list and put their orders in. Add your order, and don't forget to buy your brochures for the next couple of campaigns and any sales aids you need. When your shipment from Avon arrives check to make sure that everything you ordered is there. Also check the invoice for shorted items. If the shorted items are just late and will come in with your next order, you can see if the customer would like to pay for it and wait for it to come or you can adjust their invoice and let them pay for it when the product arrives. Prepare the invoices print out, write them down in an order book, or create your own. Make up a list of the customers who ordered and their addresses and order amounts. You could also create your own map of your customers using Google maps. 1. Sign up for Google account. 4. Search for the address of the customer you would like to save to your map. It will show you on the map where it is. Click Save to My Maps. Choose which map you want to save it to and press save. 5. After you click save you can put any information about your customer that you need. I put their name in the Title field, then their address, phone number, directions, etc When you're finished with that click OK.
6. To add more customers repeat steps 4 and 5. With this map you can get directions to any of your customers, print out any part of the map you need, and keep track of all your new customers. I love to see my map get fuller and fuller every day as I'm building my business. It's a great way to stay motivated too! Call all of the customers who ordered from you and arrange for the pickup or delivery of their Avon order. *Never leave Avon products with a customer who doesn't pay for it upfront. You can hold on to it until they pay and you can send it back to Avon or try to sell it if they refuse to pay in time. Pay your Avon bill at least two days before your next order goes in. How do I pay my Avon Bill? 1. Payment in full for the previous order is due by invoice due date or a 1.5% Administration Fee will be charged on the balance. Payment must be received on time or the order may be held. 2. Payment can be made by cheque, money order, internet or telebanking. 3. Avon does not accept cash, post-dated cheques or Customer cheques. Incomplete, post-dated and non-negotiable cheques will be destroyed without further notice. Note: NSF cheques will incur a $20.00 service charge. 4. Cheques may not be acceptable from some new Representatives. Your DSM or Upline will have more details. 1. With Purchase Order and Payment Stub. 1. Payment should be made two (2) business days before order submission to ensure payment is processed. 2. Payment may be made by Internet or Telebanking through all major financial institutions. 3. When registering an account with a financial institution, the District Number should be entered first. Otherwise, it will result in an error and payment will be rejected. 4. Payment cannot be made at the bank counter or via an automatic teller machine (ATM). 1. Currently, Avon cannot accept credit card payment. Some exceptions can be made to clear delinquent accounts. For this, you should call the Contact Center. 2. Some Representatives continue to use an older process (no longer offered) for accepting Customer Credit Card payment. Those credit card payment slips must be MAILED to Avon to be received two (2) business days prior to the order processing deadline." How Do I Market my Avon business? PC is Avon's way of rewarding you for providing excellent customer service to your loyal customer base and achieving sales of $12,800 in a cycle. What are the Benefits of Presidents Club? Guaranteed 40% discount on the regular Avon product line and other discounts listed om the website. 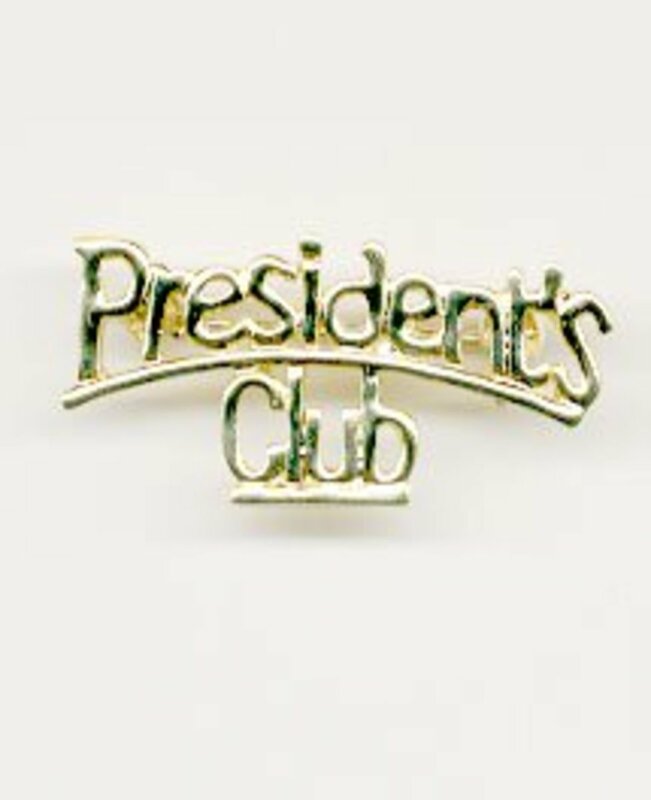 Avon's President's Club Membership Pin, a symbol of your achievement status. PC Times newsletter for Presidents Club Members only. An invitation to the annual President's Club Tribute. Take time to share your success with other members. The 2009-2010 Mrs. P.F.E. 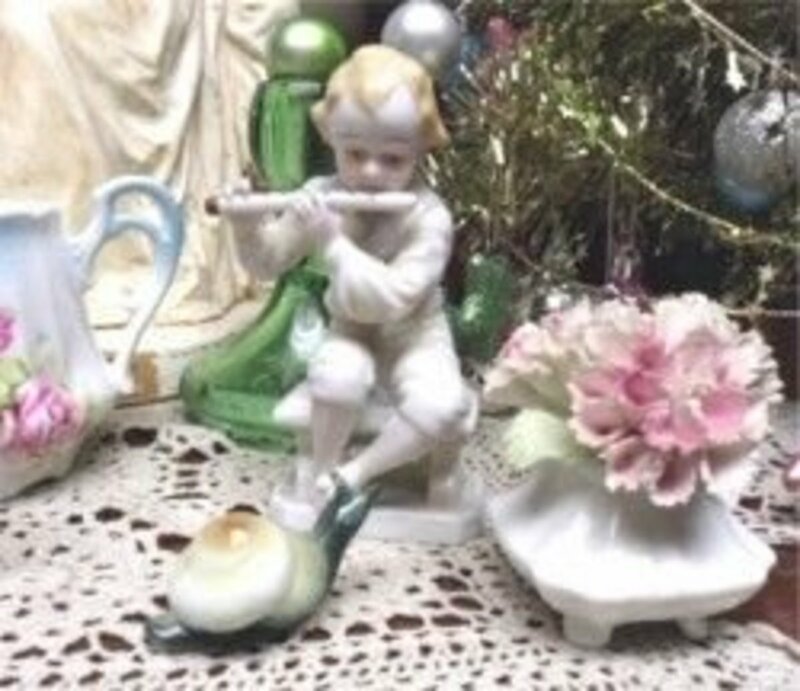 Albee hand-painted porcelain figurine. An invitation to your local Tribute event, you will receive special recognition as a PC Prestige member. The exquisite porcelain 2009-2010 Mrs. Albee Collector Plate. Guaranteed 45% discount on the regular Avon product line and other discounts listed om the website. exclusive previews and samples are sent. Special recognition at the President’s Club Tribute. What is the David H McConnell Club? A 1-800 telephone number to support your business. Each campaign, you will receive one free Brochure three campaigns ahead and you may order Brochures three campaigns ahead. with an attractive display stand. Guaranteed 50% discount on the regular Avon product line. An exclusive President’s Council Pin that proudly announces your membership and achievement. A 1-800 telephone number reserved exclusively for you. Free Avon Expressions catalogues, mark magalogs and other special flyers. Achievers are honoured with special recognition at the President’s Club Tribute. An invitation to attend the National Recognition Celebration. The 2009-2010 Mrs. Albee Plate encased in a beautiful frame. What are the Guidelines for achieving Presidents Club and all other achievement levels? You can find them on the Guidelines page. How can I get an Avon website? in Section A of your Purchase Order, or online. Then enter your account information on www.interavon.ca. Then you can start personalizing your Avon website. How much does the website cost? The Interavon.ca website and email address costs $18 per year. You can renew your Web page on an annual basis. You will be notified before your subscription is over. What are the benefits of having your own Avon website and email address? Communicate easily with your customers. Attract new customers and recruits with a professional looking site. Can I customize my site? The customization options seem a bit limited but you are allowed to use HTML on your page. Have a look at this page as an example of some of the things you can do with HTML. How do I use Link Directories to promote my site? There are many link directories online that you can use to link back to your site so that people searching for an Avon rep online will be able to see your site in the search results. What are some creative ways thank my customers for their loyalty and show them that I appreciate their business? Have an Open House/Customer Appreciation party! Invite all of your customers, it's a good idea to invite lots of people because they probably won't all show up. You could offer them a gift if they bring a friend. Have snacks and drinks, this doesn't have to be to fancy, just something for them to munch on while you show all of your favorite products. 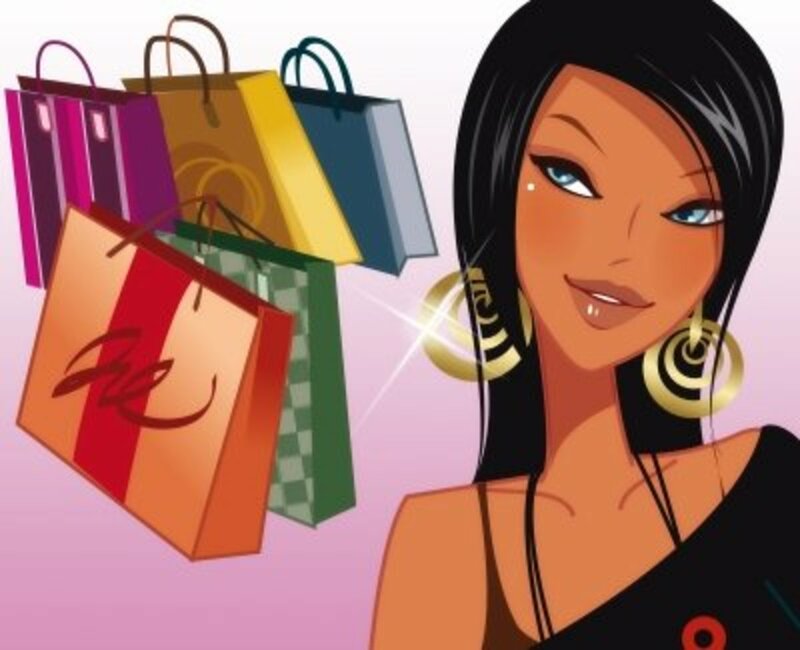 A lot of Avon reps have a prize draw at their parties, usually with a basket full of cosmetics and skin care or any of your favorite things that were on sale. 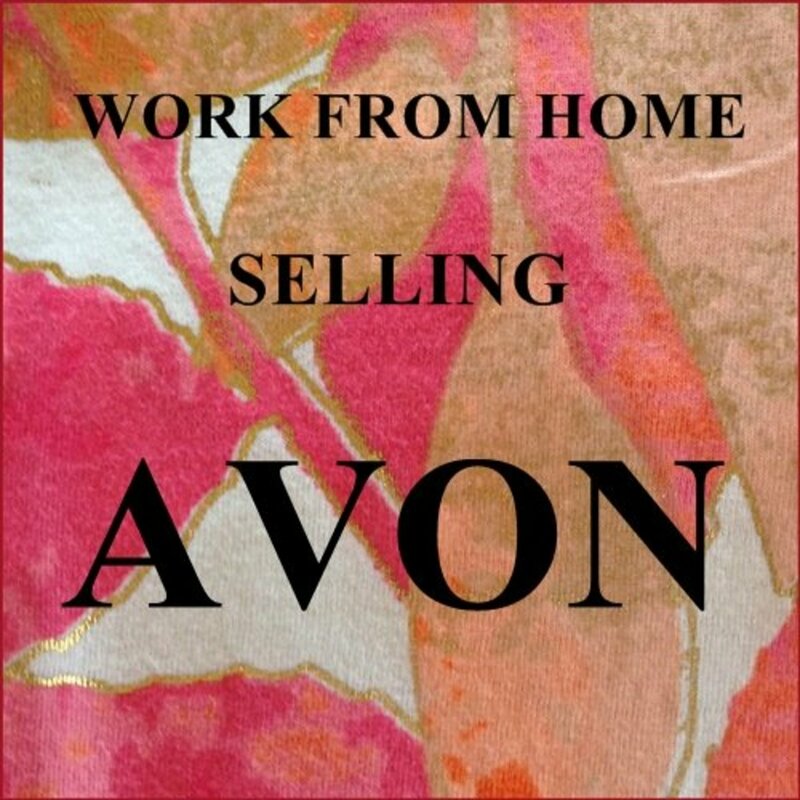 When you're presenting your Avon products, don't forget to ask if anyone would like to join your Avon team. 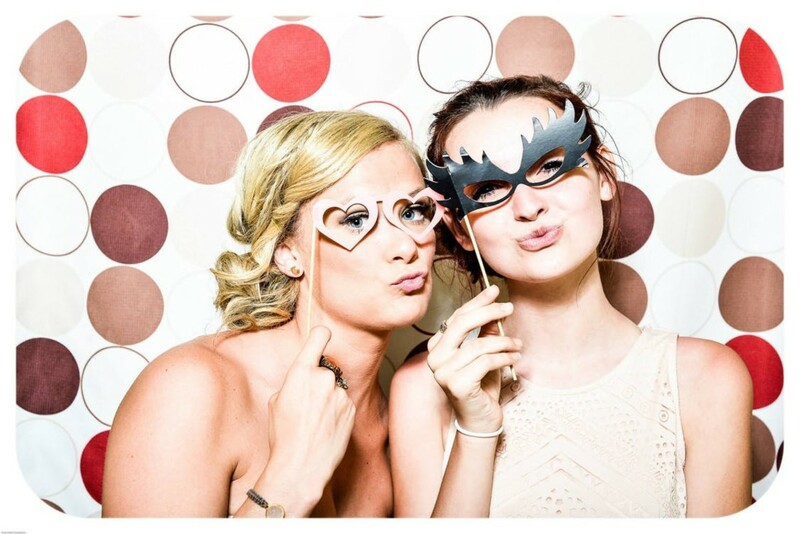 Parties are a great opportunity for Leadership reps to find new Avon Sales Reps. Holidays - Do something nice for your customers around the holidays. For example, Christmas is a good time to make up little gift bags. You could put in a Christmas card, a few of the $0.99 Christmas themed products like lip balms, hand creams and mini bubble baths, a brochure, and information about the Avon opportunity. For your best customers you might want to treat them to a full sized product or something that they really like. There are tons of great little gift bags/boxes you can find at any Dollar Store or craft store. You can also decorate your gift bags with ribbon and other gift wrapping items at the Dollar Store. BE CREATIVE and always keep your receipts from anything relating to your Avon Business. You'll be glad you did around tax time. Hold a Raffle Drawing every few months. These could be holiday themed, seasonal(back to school, spring, summer), or some kind of special event like October is Breast Cancer Awareness Month. I'll use Breast Cancer Awareness as an example: For everyone who purchases a Rosie the Bear or other Crusade product, their name gets entered into a prize draw of pink Avon products. Use your imagination with these! After you start doing draws, people will start to look forward to them every few months or weeks. Samples! Everyone loves free samples. If you've got a bunch of samples hanging around your house use them! You could make a few "Sample Brochures" for your favorite customers by taping samples to the pages. Anew Reversalists samples are great for showing your customers the best new skin care product. Write a note about your lumpy brochure and offer a coupon, discount, or free gift if they purchase something that they tried from a sample. Start a "Sample of the Month Club" Invite your customers to participate in your Sample of the month club. You give them a sample and a special offer every month. Try to pick samples that are featured products in the campaign you're working on and only offer the special to your Sample Club members. When you deliver their sample, don't forget to include a product description, benefits of it, and key ingredients list. Don't forget to FOLLOW UP with ALL of your Sample Club members! You are wasting your time and money if you don't call your customers. Another gift idea great to use if you've got full bottles of shower gels and bubble bath: Go to the craft store and find cute little glass bottles with lids, or anything else you think would work. Fill up these little bottles with shower gel or a great scented bubble bath and label them. Decorate the bottles with some ribbon and maybe a gift tag and give these out to your customers to try out. This could work well with demos of new products that you can purchase from your "What's New". You could give them to people to try out before it hits the customer brochure. You could call it your own "Preferred Preview Club". Have a "Trade In Sale". Ask your customers to trade in their old makeup items in exchange for a discount on new makeup that they will purchase from you. You could also knock a dollar off their Avon bill if its over $20 for every item they trade in. How is your Avon business going this Christmas season? I've been getting a lot more orders lately. Same amount of orders as last year. Have I answered all of your questions? No, I'll leave a comment with my question. I'm a new Avon Rep and I have a few questions.. When creating an account username would it be okay to use something like .. avonrepnikki, could I buy it as a domain name for a website etc? I simply wanted to know if your Avon account number can expire? I can't seem to find this info anywhere on the web. Any idea? I've been inactive for about a year. The trick is to just keep adding clients by seeking out interested buyers and getting referrals from your current happy clients. It doesn't happen fast but if you are consistent you can build a really good customer base. Make sure you take care of the clients you already have. I am a Avon rep. I been one for at least 10 years off and on, I love selling Avon cause I want my own confectionary store, but how do you get people to buy Avon, I give out books, flyers, make phones call, and talk to people everywhere I go. I am an Avon lady too! :) You are so thorough and give such great advice in this article. It's awesome. Voted up and voted awesome. They don't charge you for putting your order in early but they will charge you if you put in a late order. hello I'm new t oavon and i got some bad advice about sending in my avon order in early does it charge you for putting in the order a week before its due? and if so how much I'm from canada and someone told me it charge you 5 buck pers order to send it in early is it true? Does an Avon rep receive medical benifits? hello any tips on selling Avon wholesale to small businesses?? any ideas on an alternative to COMPanion? I do not undstand how to use it at all!! I've looked at some accounting software for avon online, but can't find any reviews. thoughts? what is the difference between regular shipment and seprate shipment? I just celebrated my one year anniversary with Avon. And stumbled your hub. I really found it very helpful, thank you! New avon rep and am in need of information. Can someone walk me through a new client sale? For example, how do i go about getting the payment. Also, do I pay out of my own pocket when placing the order? Hi! Great hub and good easy information. If you are interested in becoming an Avon Rep contact me, I will be glad to help you out. Just Ask! Take care and Good Luck! Great hub as I've been interested in being an Avon rep for a while. I've bought from them as a customer and do love their products. This hub gave a lot of good information. Good job on your hub, 4 years with Avon I have learned a lot, made some mistakes but at the same time I learned from them. Good hub, My wifes aunt now in her 80's is still going strong with Avon and has earned money selling products over the years. and also post the link to my Avon Page on my FB. You have so much information on here that I will have to come back to it again and again to read it all and soak it all up. A HUGE Thanks for those of us who don't know a heck of alot and don't know what questions to ask! Donna - You can find the contact numbers here: http://www.avoncompany.com/world/phonedirectory.pd... depending on which country you are from. Tamara- The Avon backoffice is different in every country so I cannot walk you through it but you should call the Avon rep who signed you up or your district sales manager and they would be able to help you. You can also try calling Avon customer support directly for a walk through of the ordering process. You should be able to find the Sales rep customer support number in your back office under Contact Avon, or Help(I'm not sure exactly). Jazz- When you order a demo product you do get to keep it but I think you must pay for it. It may be possible to return it if you don't use it or if you don't like it. I can't remember the specifics on that, and again it is different for every country. when i order an avon demo product do i get to keep it? Hi Renee, the avon site in Canada allows you to put in an advanced order to save it, then after the current campaign is over you can add to it and send it in. You cannot find contact information for an Avon rep near you by going to Avon.ca What you will receive is a phone call to set up an appointment with a District Sales manager. Some people mistakenly think when they enter a reps' information online on the AVON,ca site, they will be joining that rep's team. According to information I received last week from the Interavon department, the referral box is redundant. Very informative post for Avon Reps. Keep writing great articles! What kind of help are you looking for? I need to find a list of avon district numbers. Does anyone have a list or know where I can find one? Avon is such a great company with a proven track record. I was an Avon lady back in 1983. Now after having 2 kids, going through a divorce, working at a bakery cafe as wait staff and a trainer, getting remarried and moving, I find myself involved back in the business of Direct Sales. Everyone wants to be successful with their business creating residual income. I am a Licensed Filed Trainer with RI Training and am proud to share that we are now a Corporate Parner with Avon, Inc! RI Training has a complete training system that helps new people in the business accelerate their learning and their earning experience. Find a game play in your area, ask your leadership how to get this awesome training. You are welcome to contact me for any questions! Check out my articles on HubPages. I have started a series about Personal Effectivness, Residual Income and how it all works to help you be successful in your business--Avon or anything else. 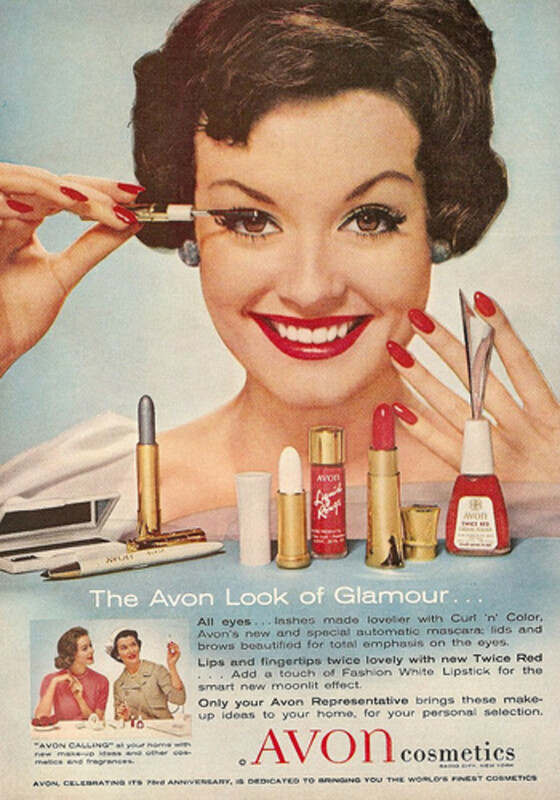 Things have changed a lot since I was an "Avon Lady" ;) Nice informative hub - thanks! I found some great training pages on the Avon Alabama website. I'll put the link in the list. Actually, I'm not a Leadership rep but I'm sure I'll be able to find that information for you. Hi mlozinski...your Hub is just fantastic. I'm a new Avon rep (in Canada)just working on my third campaign. Your information has been so helpful to me. You explain important information is such a user-friendly way. I am wondering if you might be providing information on the Leadership Program any time soon? Important things to know beforehand and tips for success etc. Many thanks! Yea, you could use anything you want. I wish my district had a blog. Are there any other questions you can think of that should be answered on this Hub? Let me know what other questions you hear all the time. Thanks! I would love to use some of your materials here for our district Blog(s)?? Or better yet, perhaps I could use your Hub link in our Blog and both new and existing reps could visit at their leisure? P.S. See you on Facebook!